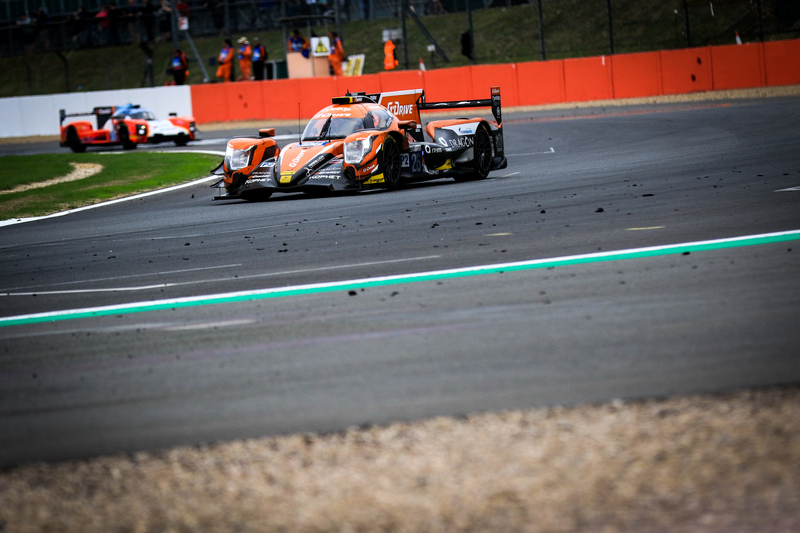 The #26 G-Drive Racing ORECA 07, piloted by Roman Rusinov, Andrea Pizzitola and Jean-Eric Vergne took their second consecutive victory and their third of the 2018 European Le Mans Series when Vergne took the chequered flag, one lap ahead of the #21 DragonSpeed ORECA driven by Henrik Hedman, Ben Hanley and Nicolas Lapierre, who took the final stint. Completing the podium positions in the LMP2 class was the #28 IDEC Sport ORECA 07 with the driver line-up of Paul Lafargue, Paul Loup Chatin and Memo Rojas, Lafargue bringing the car home 8.33 seconds behind the 21 entry. The field was led away from the grid by Julien Canal, at the wheel of the #23 Panis-Barthez Competition Ligier JSP217 with Roman Rusinov holding second place. The Russian driver found a way past the #23 entry just after the first hour while the leading pair were overtaking back-markers. The #22 United Autosports Ligier was retired at the the half-way mark after tyre pick-up entered the cabin, activating the fire extinguisher and immediately disabling the car’s system. Driver Phil Hanson was quick to exit the stricken vehicle. The incident was quickly followed by the #35 SMP Racing Dallara with Victor Shaitar at the wheel coming off the circuit and hitting the tyre barrier. Although the car was returned to the garage, damage meant that the car had to be retired. Andrea Pizzitola handed the #26 enry over to Jean-Eric Vergne who enjoyed a relatively trouble-free run to the chequered despite a last minute stop for fuel. The battle for the remaining podium places intensified in the closing laps with Norman Nato in the #24 Racing Engineering making contact with the barriers, contact between the #23 Panis-Barthez Competition entry driven by Will Stevens and the #31 APR Rebellion Racing ORECA, the #30 AVF by Adrián Vallés Dallara requiring a new rear wing and a splash-and-dash fuel stop for the #28 IDEC Sport ORECA. 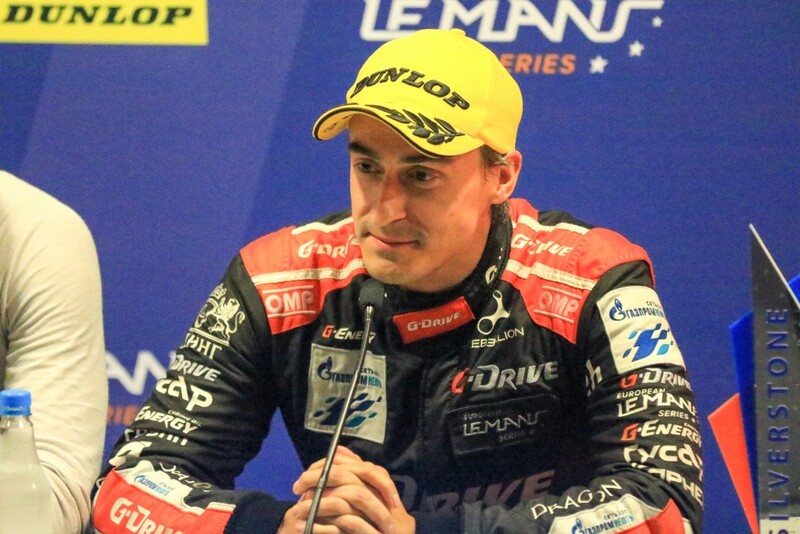 The resulting changes to the order ment that the #21 DragonSpeed ORECA with Nicolas Lapierre took second lace within the last ten minutes, a position which he held to the chequered. Roman Rusinov was delighted with the win but was quick to praise his teammates . “Yes it was a very good race but in the beginning it was not so easy because Julien Canal was very fast and I was doing one second slower than him so for a Silver it was quite impressive to be honest,” said Rusinov. Commenting on the pass which saw take Rusinov take the lead just after the one-hour mark, the Russian driver thought that traffic played more of factor than jis pace. Jean-Eric Vergne’s drive to the finish saw him less concerned about what was happening behind him and more focused on maintaining steady lap times. United Autosports took the class win in the LMP3 category with its #3 Ligier JSP3, driven by Anthony Wells, in the car he shared with Garret Grist and Matthew Bell, taking the chequered flag 9.113 seconds ahead of the #7 Ecurie Ecosse / Nielsen Ligier driven by Colin Noble, Alex Kapadia and Christian Stubbe Olsen. The #17 Ultimate Norma M 30 finished in third place a further 95 seconds back. The #12 Eurointernational Liger Mattia Drudi held the lead in the LMP3 class for the first 90 minutes whilst Sean Rayhall spun the #2 United Autosports Ligier at Turn 11 which forced him to fight his way back up the order. However a problem re-starting the engine at pit stop meant that teammate John Falb rejoined the race in a position from which he was unable to fight for a podium finish. At a circuit that he has always found challenging, Tony Wells was delighted that he was able to fend off Le Mans Cup Championship teammate Colin Noble to take the class win. “The car was good and the team did a great job,” said Tony Wells. 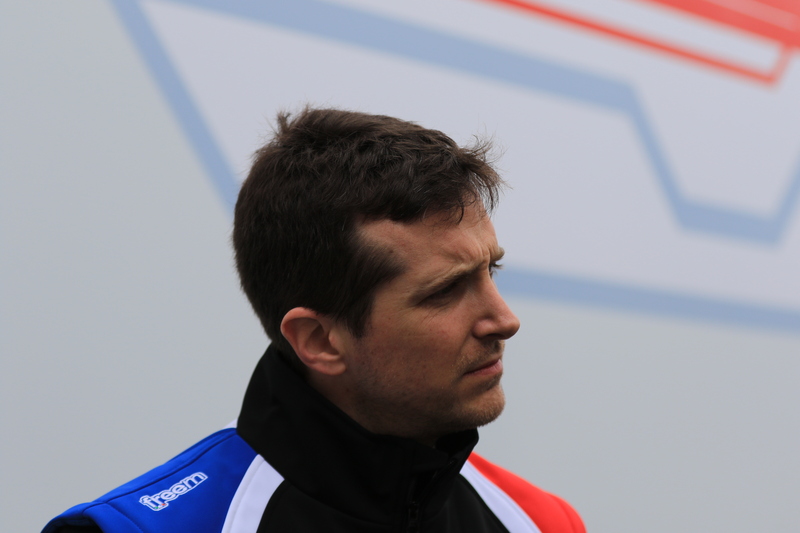 “The car was rebuilt for this round and we were quick on Monday. Ironically I never go well at Silverstone – how ridiculous is that. The car was hooked up and we didn’t change anything from Monday. It was just the challenge of getting round Silverstone quickly. The pressure was on when your teammates give you the lead but immediately I had pace and I pushed on. I did the pit stop and we had green all the way so I could get my head down and go. The team was calling the gap to Colin and obviously I w as pushing on although I admit I backed off the last few laps as I had a bit of a gap. I was very happy to see the chequered flag. The LMGTE victory went to the #66 JMW Motosport Ferrari F488 GTE driven by Liam Griffin, Alex MacDowall and Miguel Molina, less than a second ahead of the #88 Proton Competition Porsche 911 RSR of Gianluca Roda, Giorgio Roda and Matteo Cairoli. The #55 Spirit of Race Ferrari of Duncan Cameron, Matthew Griffin and Aaron Scott completed the top three in class. The GTE class probably saw the most competitive racing of all three classes. The #88 Proton Competition Porsche 911 RSR, with Gianluca Roda, led the field from the start with Christian Ried, driving the #77 sister car in pursuit. With less than a few seconds covering the top four for most of the race, Miguel Molina in the #66 JMW Motorsport Ferrari F488 GTE took the lead in the final ten minutes from Matt Griffin, driving the #55 Spirit of Race Ferrari. Both the #55 and #66 cars saw themselves awarded 10-second penalties as the race drew to a close, meaning that Matteo Cairoli, running in third in the #88 Proton Competition was mathematically leading the race. Cairoli caught Griffin but a brief off-track excursion meant, and the resulting delay, meant that Cairoli finished 10.126 seconds behind Molina, ceding victory to the JMW Motorsport entry. G-Drive Racing’s win means that the #26 car extends its lead at the top of the LMP2 Team’s classification to 34 points. 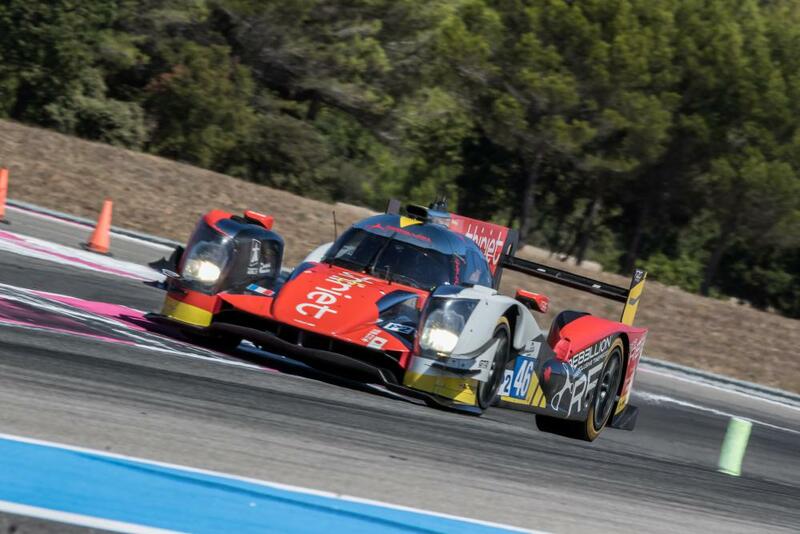 The #15 RLR MSport Ligier leads the LMP3 Teams’ standings on 58.5 points while the #88 Proton Competition entry heads the LMP3 standings on 72 points. The 2018 European Le Mans Series grid gathers next at Circuit de Spa-Francorchamps on September 23.